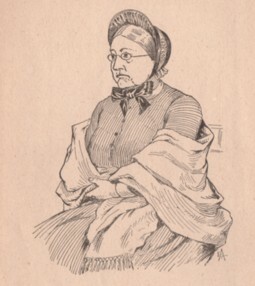 Information on Holley and a picture at the Women Working, 1800-1930 collection at Harvard. "Josiah Allen's Wife: The Story of Marietta Holley" (.pdf program script from a PBS special on Holley. A letter to Holley from Mark Twain's illustrator True Williams, with a brief comment from Holley added at twainquotes.com. Scroll down the page to see the letter. 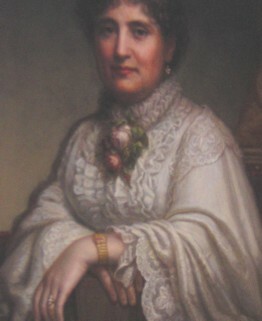 Portrait of Marietta Holley, detail from the original courtesy of the Roswell P. Flower Memorial Library, Watertown, New York.